May 2- May 3, 2015. As we said good bye to Utah, it was clear that we were on the tail end of the trip. Our route was looping us back towards home in the central Willamette Valley. 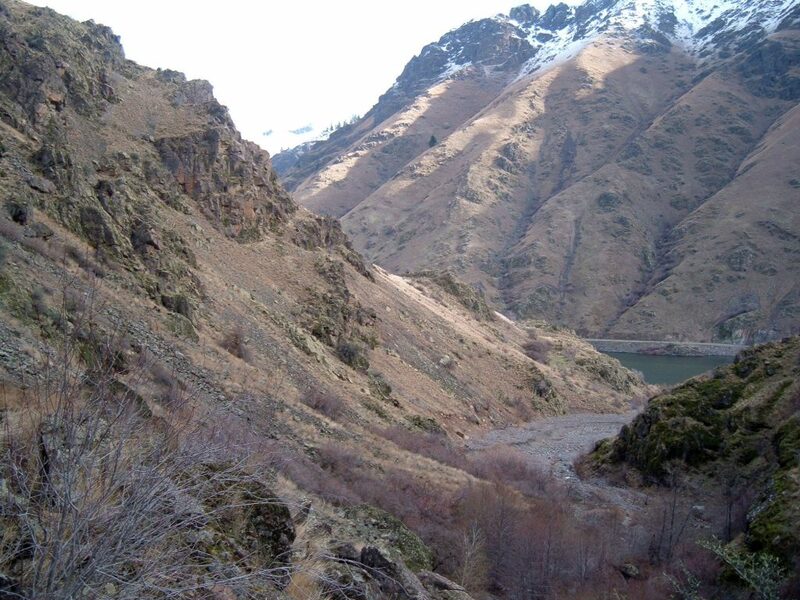 We made a couple of short pit stops in the Twin Falls area along the gorgeous Snake River. When I’m a passenger for long periods of time, I like to pore over the maps and guidebooks I’ve brought along so I can learn more about the area I’m driving through. 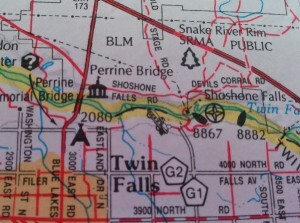 On our way to Twin Falls, I noticed a curious symbol in the Gazeteer. Quietly tucked away, alongside the symbols for Information Center, campground, and boat launch was something that looked like a spaceship-car hybrid. Soon, I would find out exactly what that symbol was all about. Our first real stop was the iconic Perrine Bridge, where BASE jumpers from all over the world come to take a leap. It’s one of the only places where it’s legal to do so without a permit. Just upstream from the bridge, the daredevil Evel Knievel tried to jump across the river in his “skycycle.” While he didn’t make the jump, he survived the crash with just a broken nose to show for it. And now, his unbelievable attempt is recorded forever in the Idaho Gazeteer with a spaceship-car hybrid marking the location of his jump. I thought, if I was a map-maker, what might I try to sneak into a map…? The bridge itself was beautiful. We walked to a viewpoint of the bridge, then stopped inside the Visitor’s Center, a modern building with big windows and interpretive signs about the area. There was a little gift shop as well as a wall full of pamphlets outlining nearby attractions. Lucky for us, there was also a little cart full of free ice cream cups from the folks at Coldstone Creamery. It was some sort of promotional thing, a delicious, delicious, promotional thing. Even without the ice cream, this would have been a worthwhile stop. There is one type of map symbol that always grabs my attention: Unique Natural Feature. This symbol looks like a fan with four blades (see above map) and it corresponds to a key in the front of the book that gives a name and a short description of the feature. One feature that I wanted to see on our drive through Twin Falls was called Caldron Linn. Or Cauldron Linn, depending on what you’re reading. It took some sleuthing to find driving directions to this place. Even the fact sheet at the Visitor’s Center said “inquire locally for directions.” It seemed weird that this place was right outside a major city and its whereabouts were sketchy. I really wanted to go there, and really hoped it wouldn’t be another Pillars of Rome situation. We found the place without much trouble, although we definitely should not have driven down the last section of steep, scary dirt road. We arrived unscathed and tumbled out of the car to see what this was all about. The description was something like “a raging fury of churning water that cast early explorers to their deaths as they attempted foolishly to travel downriver.” That’s absolutely not a quote but that’s what I was picturing in my mind as we walked towards the river. 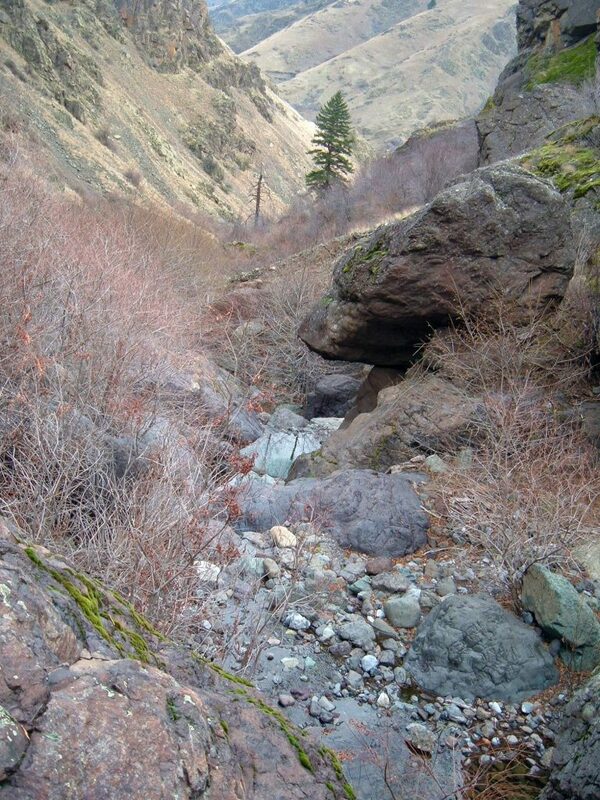 Funny, we couldn’t even hear any rushing water. The river was eerily low, which made for a mediocre waterfall but gave us an interesting look at the rocks that are usually covered by water. The bleached white rock looked like a jumble of dinosaur bones piled up on shore. Water pooled in cavities that were bored down into the rock by a more vigorous flow in times past. Lizards sunned on the rock and birds chattered away in the sagebrush. While I was sad that I didn’t get to see the river in its most dramatic state, I still enjoyed the diversion and adventure off the main road. I should not have expected anything different on our next waterfall stop. But, Shoshone Falls was nicknamed the Niagara of the West, so it had a bit more credibility than our little Cauldron. We stopped at the falls around lunch time, eager to get out of the car and have a nice little picnic. During our visit to this oversold attraction, the water levels were pretty low, and so it was a pretty disappointing stop. The falls were pretty, but they didn’t earn their nickname and certainly didn’t need to command the crowds that were swirling around us. We got our obligatory couples photo and ducked out of there. The nearby park was also overrun with visitors but we found a spot on the grass where we could lay out our picnic spread and stretch our legs a bit. Today felt like a lot of driving. It was nice to just hang out and not feel like we had to get somewhere fast. We wanted to experience the last stop of the day after dark, so we were in no rush to get there. 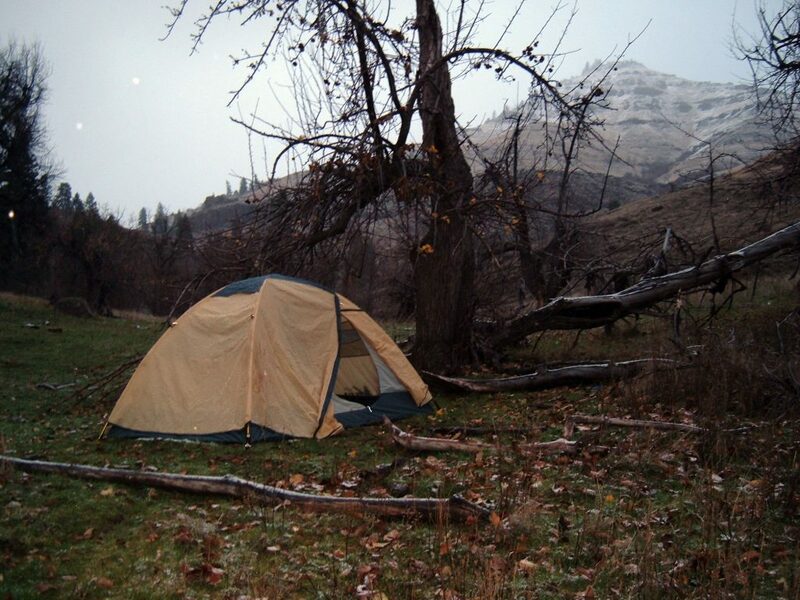 By the time we rolled in to Bruneau Dunes, nearly all the campsites were taken. There were just a handful left in the Equestrian Camp just outside the main park, so we took it. Like Great Basin National Park, Bruneau Dunes boasted of its spectacular night sky program. They even had an observatory with a huge telescope that was open to the public on the weekends. So, we set up camp, made dinner and waited for the sun to go down. When we finally made it over to the observatory, there were a bunch of people milling around. We got there late. It was dark, we didn’t know what was going on, and it took us a while to figure out how to pay. We dutifully stood in line to wait for our turn to look through the telescopes that were set up outside. Then, we waited in the longest line, the one at the big telescope, just to see a fuzzy cluster of stars half a zillion miles away. Yawn. What I really wanted to do was hike the dunes under a starlit sky. So we grabbed our backpacks out of the car and set off on what we hoped was the trail we wanted, angling for the dunes. When I planned this in my head, I imagined it would be like our night hike in Death Valley. But as I am noticing now, my images of reality don’t always match actual reality. The Bruneau Dunes are an interesting phenomenon. They sit in the center of a semicircular basin, with winds blowing pretty evenly from all sides so they don’t move very much. At the foot of the 400-foot high dunes is a pair of lakes that formed only a few decades ago, after the water table rose due to changes in irrigation practices nearby. At the edge of the lakes, as one might guess, was a tangle of shrubs, grasses, trees, and other water-loving vegetation. That made finding our way to and from the dunes extra challenging. Once we broke free of the plant life, we began hiking straight up the steep side of one of the big dunes. Right foot forward, slide back, left foot, slide… and on and on. At one point the dune ridge got so steep we had to crawl and monkey walk sideways just to keep going. It was exhausting work. In daylight, perhaps, we could have found a better route. But, we did the best we could. Clouds covered large patches of sky for most of the night. Occasionally the moonlight would break through a gap in the clouds. After we walked the entire length of the ridge, we happily ran down the side of the dune and headed for the lake. That was the best part. The worst part was trying to navigate a braided mess of user trails leading every which way through the thick, lakeside vegetation. Eventually we stumbled out on the other side of the water and made our way to a road that led back to the car. Mission accomplished. In the morning we took a quick drive through of the park to see what it looked like in daylight. It was very pretty, and the dunes were scarred with mobs of tourists hauling their children and sand-boards up the hills. Glad we did the park by night. Next up: Eastern Oregon. The grand parks tour was coming, sadly, to a close. 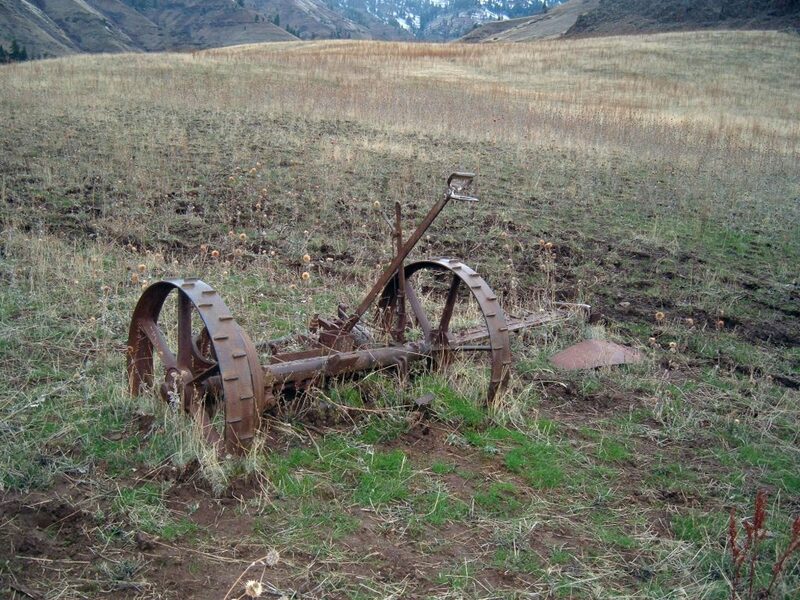 This entry was posted in Four state parks tour 2015, Hiking, Idaho on May 23, 2015 by Jess B.
School’s out! It was time to hit the rock. I was able to spend 8 days climbing and hiking in this beautiful park. It was my first trip there, and so I hit many of the classics. It took a few days to warm up to granite slab climbing, which is much unlike what there is to climb in Oregon. I took some pictures on this trip, and I also went for a hike. Bloody Fingers (5.10a)—WOW. Here’s a climb that lives up to its reputation. A strenuous start leads to sweet hand and finger jams above. Just when you think you’ve got it nailed, the crack disappears into a friction slab with some minor stress-inducing moves to the top. Very enjoyable route. We toproped it; I think it would be a scary lead down below. Trad. Classic Route on the Lost Arrow (5.7)—I was glad Tom led the first pitch, because it would have been very heady for me. The second pitch was exciting on lead as well with an airy step around the corner to reach the slab. I bootied an old #1 Camalot from the upper crack. In fact, I wasn’t even expecting an upper crack but it came in handy to protect the so-called runout finish. Great views from the top followed by a nice free rappel make this a definite classic. Trad. Columbian Crack (5.7)—If you asked me while I was leading this, I wouldn’t have but it on my favorites list but in hindsight I think it was a stellar route. It begins in a wide to narrow chimney, then you pop up onto a block before stepping into the crack. Minimal crack skills are required since there are holds and ledges all over the face. Scary runout on top unless you bring the right gear (duh)–think, WIDE. Double Trouble (5.8)—Slab to hand crack to chimney. Varied and enjoyable, albeit soft for an 8. It was nice to finally get some crack moves in as they are pretty hard to find in the moderates here. Trad. Night Vision (5.9)—Really interesting opening sequence made me think and grunt a bit. With the right counterbalancing and body position, you can get up to the more straightforward slab. Toprope. Sinocranium (5.8)—Super fun, 5 pitch bolted multipitch route on Stinefell’s Dome. Most of the slab is easier than 5.7, with one 5.8 pitch that follows a dike full of quartzite crystals. There are a ton of bolts, so you can skip some to make things more interesting. This was definitely worth the hike. Sport. Raindance (5.7)—This very well bolted route has a traversing lower pitch and a long slab for the upper pitch. It was an excellent introduction to the type of climbing here. I really enjoyed the second pitch. Sport. Snack Break (5.9)—This is a very sparsely bolted route with a spicy opening sequence. There was a lot of reaching up and feeling around for jugs that weren’t visible. Mixed. Snack Break Direct (5.8)—Same feeling as Snack Break, but considerably easier. Mixed. Tennish Anyone? (5.10a)—Easy lower half gives way to some thoughtful, balancey slab moves on the upper half. Enjoyable route with very minimal 10 climbing. Mixed? Triple Roofs (5.7)—The roofs aren’t the hard part. My crux came much higher, and it took a long time to commit to the moves to bypass it. This one made me think! There were a couple of bolts that may or may not have been for this route; I clipped one somewhere below the large roof. Trad. Wheat Thin (5.7)—Followed Nate up this mellow flake/crack. Pretty straightforward and fun! Trad. White Flake (5.8)—This would be my favorite climb if it wasn’t for the strange, smooth bowl in the middle of the route beneath the triangular rock. I had no idea what to do or how to protect it, so I stepped left onto the adjacent sport route and clipped a bolt before delicately traversing back right. The white flake at the top of the climb provides fun climbing, and I was so happy to jam my hands into a great crack at the top. Spectacular route! Trad. Adolescent Homosapien/Homosexual (5.7)—I hated the opening chimney, which colored the rest of the route for me. It was incredibly windy and I was stressed out the whole time. I’d forgotten the beta for a “difficult to protect upper crux” so it took me a while to work through that. Not my best effort. Trad. Cruel Shoes (5.7)—I wanted to do Dikes of Gastonia but my partners preferred this route. Nothing special, just another long, well-protected slab with remarkably uncomfortable belay stations. Sport. Eastside Groove (5.6)—A not-so-memorable climb on the east side of Bath Rock. Trad. Finer Niner (5.9)—This route is a bit contrived, but we did the best we could. The roof move is excellent and not that difficult, and the rest of the route is much easier. Sport. Fledgling (5.7)—A really awkward leaning crack led to more interesting, but easier climbing on top. I was not happy with the bottom. Trad. Fred Rasmussen (5.8)—This climb seemed to only go about 40 feet, unless we missed something. Too short to be much fun. Trad. Funky Bolt (5.9)—I really wanted to like this one. I don’t know if my feet were trashed by this route or before I started, but my feet were in raging pain by the end. The sequence at the “funky bolt” was really reachy and stressful, even when following. The anchor is a ton of slings wrapped around a gigantic horn. Trad. Intruding Dike (5.7)—Maybe because this was my first gear lead at the City, or because of the lousy walk-off, this was not one of my favorites. I wished I had more than one 0.5 Camalot. Trad. Pure Pleasure (5.6)—Longish slab leads to a shortish crack. A reasonable warm-up if you’re in the area. The coolest part was exploring the window arch and algae-filled potholes above the top of the climb. Trad with one bolt. Theater of Shadows (5.7)—I thought this was so easy and devoid of interesting moves that it was a waste. I’d never recommend it to anyone besides a first time climber who wanted to get on a multi-pitch. Yawn. Sport. Too Much Fun (5.8)—The tricky move at the start for “short people” was definitely the crux for me. I had to deadpoint to an undercling before being able to reach up to a jug. It was good, but not sure what all the fuss is about this route. Sport. Twist and Crawl (5.8)—Long, runout start. Tom put a big cam in a horizontal crack before the first bolt. Slab climbing leads to a crack at the top. We climbed this route to set a TR on Bloody Fingers. Mixed. Overall, I must say I was a little intimidated by the City. I did not push my climbing grade at all, since I felt humbled by several 5.7 leads. Climbing on granite is a different experience, and I felt like I improved my footwork considerably over the course of the trip. I was happy for the opportunity to place a lot of gear and travel to a new destination. Back in Portland, I’m already sick of the weather and desperately missing Idaho’s sunshine. 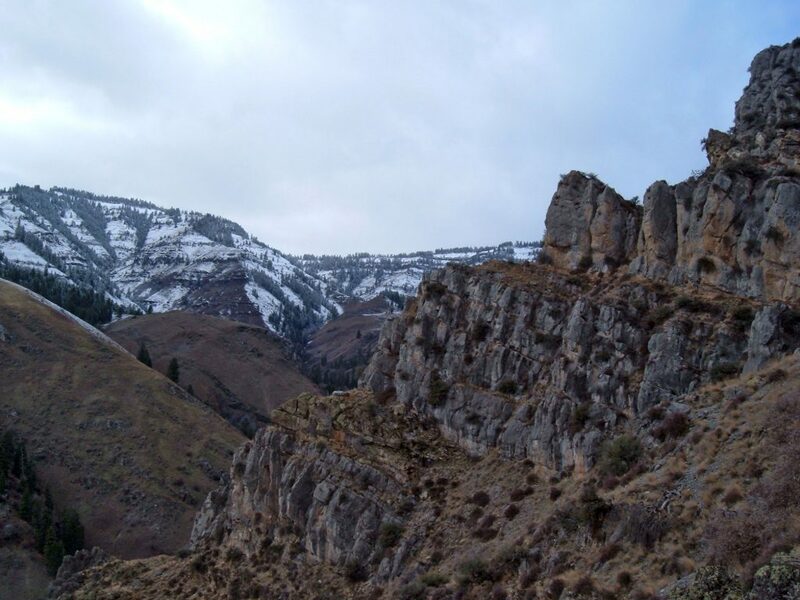 This entry was posted in Climbing, Idaho on June 26, 2012 by Jess B.
I needed a Jess day. I had been climbing in the park for 5 days and I just wanted to go for a walk. Bingham’s City of Rocks climbing guide book included some hike suggestions in the introduction. The Granite Mountain ridgewalk appealed to me most, and I’d been ogling the distant skyline since I arrived at camp. There would be some bushwhacking involved, but I was sure the wide open views would make that easy enough to manage. I set out from our campsite, adjacent to the Flaming Rock trailhead, around 8:30 in the morning. It was already warm and I knew it would be a hot day. I covered the trails quickly, stopping to photograph the pretty wildflowers and stay hydrated. When I arrived at a sign pointing to Beef Jello/Banana Crag, I knew I’d be saying adieu to trails for a while. I stayed on the climber’s path as long as it lasted, then followed a faint trail through the forest. Even though it angled northwest (instead of northeast, towards the ridge), I patiently followed the path. Eventually I figured I was heading too far west and picked through the forest. Soon after I came across a well-worn trail that was too good to be true. I had no idea how popular this hike was, so again I put my faith in this trail. It became obvious that it was taking me to another pass leading to a totally different part of the park. I got out my compass, scoured my surroundings for a break in the trees, and changed my direction. I know I’ve learned my “no bushwhacking in shorts” lesson before, but for some odd reason I thought the desert would be kinder to my legs. This was not the case. Although the area reported an average of 12 inches of rain each year, the understory was remarkably dense. Every leaf, branch, thorn and bristle was razor sharp. Branches grew in tangled mats that were hard to avoid or brush out of the way. I knew I’d be donating a lot of blood today. As I meandered along the ill-defined ridge, I savored the views south to the inner workings of the park and north to Graham Peak. My path alternated between navigating through the brushy forest and working my way up to rocky viewpoints. I did not feel like I was doing a ridge walk. Every pile of rocks I scrambled up on top just gave me a great view of how much elevation I’d have to lose to get to the next saddle. It was smarter to stay low and avoid the only enjoyable part of the walk. It was miserable. And now it was very hot. At some point, I distinctly remember feeling close to the summit block of this beast. 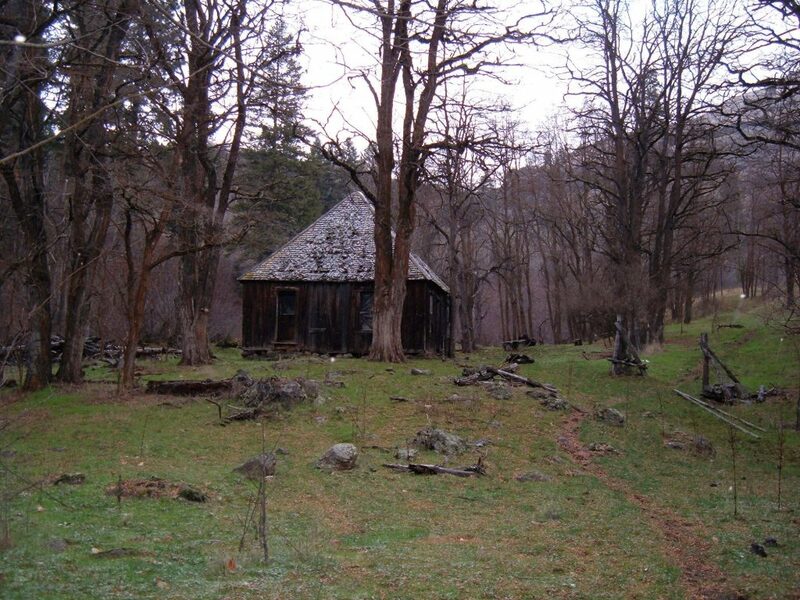 I also remember feeling even more closed in by dense trees, crumbly rock, and shrubs. Ugh. I trudged on at a snail’s pace, snapping all the face-high branches and ducking below the limbs that were too big. I’d climb up on some rocks that would dead end, then drop back into the unruly orchard from hell. This happened to me several times before I finally came to the summit block. So I thought. I got to the top of this thing, and there was a large gap between the pile I was on and the true summit. Crap. I downclimbed to a few other points that left me with some very exposed 4th class scrambling to get just another 15-20 vertical feet to the top. Alone, this was not happening. The slab on the north side leading to the summmit looked promising, 5.0 or just a bit more, but it was really long and also exposed. A fall would certainly leave me dead at the bottom of the face. No thanks. Frustrated, but accepting of my non-summit, I ambled off to a flat and windy lunch spot where I sat and rested, drank lemonade, and ate lots of food. The guidebook suggested finishing the ridge by descending Granite Mountain’s summit and walking around the north side of Stinefell’s Dome to connect with the climbing trail that led back down to the valley. I had scoped out this descent just a couple of days earlier so I knew the way. 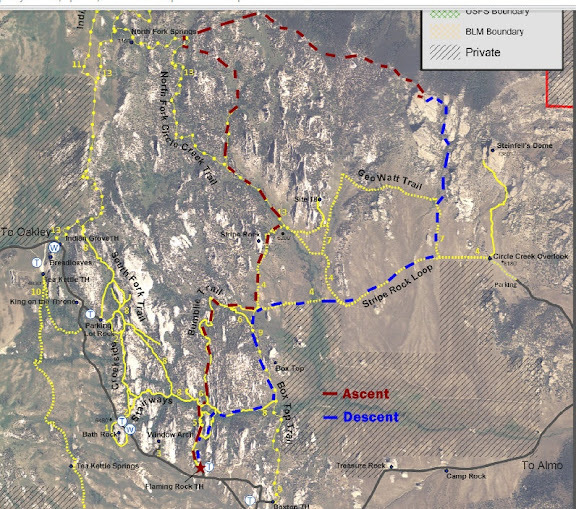 But I was SO done with bushwhacking that I wanted to get to open sagebrush country as quickly as possible. I began to follow the ridge east until I found an obvious gully leading downhill. I thrashed my way through the gully, which had some nice open areas and some really tight spots, until I popped out right onto a trail. Hoorah! The sun was brutally hot here, with little breeze and no shade for miles. I didn’t care. I needed time to lick my wounds. Walking was incredibly easy now; I could let my brain and body run on autopilot for a while. Wanting to make a loop out of the whole ordeal, I chose different trails for the return trip for a change of scenery. I enjoyed looking at the cactus blooms the most, and was excited to find a rock that looked like a giant chickadee. I kept an eye on my water supply, which was running low. I was overheating big time. Just about a mile from the trailhead, I plopped on the ground under a shade tree and recovered a bit before the last uphill stretch back to camp. There were lots of ups and downs on this trip, which was very tiring. Stepping into camp marked the end of a long day. I was happy to take off my socks and shoes, scrub up with some soap and water, do crossword puzzles and watch birds fly among the trees. I wouldn’t exactly recommend this hike to anyone, for any reason, unless perhaps the entire ridge is covered with 20 feet of snow. Live and learn. The trails were great, but trekking off trail required some serious willpower. Next time, Granite Mountain, I’ll take the short way up and bring a partner with a rope. This entry was posted in Hiking, Idaho and tagged hike366 on June 26, 2012 by Jess B.